There's no bad time to visit Australia, though there are a few tips to keep in mind. Much of Australia runs hot, especially in the north—places like Uluru, Darwin & Cairns are best visited in Southern Hemisphere winter (June, July, August). The opposite applies for southern regions like Tasmania & Victoria that can get particularly cold in winter—January & February are the most pleasant times to visit. Interested in the Great Barrier Reef? You'll have warm temps all year, though spring and summer bring stifling temps and lots of warm tropical rain. The famous Gold Coast is the country's Goldilocks region, with lovely weather throughout the year it's known for having beautiful weather most of the year. And given Sydney's southern latitude, glittering beaches are best visited in the warm summer months. Ask an Australian, and they'll tell you that picking a favorite place in their vast homeland feels as impossible as choosing a favorite child. That said, travelers can't go wrong with Uluru (also known as Ayers Rock, the stunning sandstone monolith in the Northern Territory), Cairns and the renowned Great Barrier Reef, and the famous sights of metropolitan Sydney. Head to the Gold Coast for beach time, Melbourne for culture, Kangaroo Island for wildlife, and Broome for to visit the fascinating Horizontal Falls, a series of tidal waterfalls in Talbot Bay that's considered to be a natural wonder. Since reaching this part of the world requires long flights across multiple time zones for most travelers, it's best to make the most of your journey with at least one week in-country. 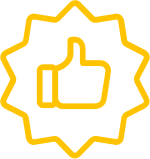 The more time you can give it, the more relaxed and satisfying the trip will be. 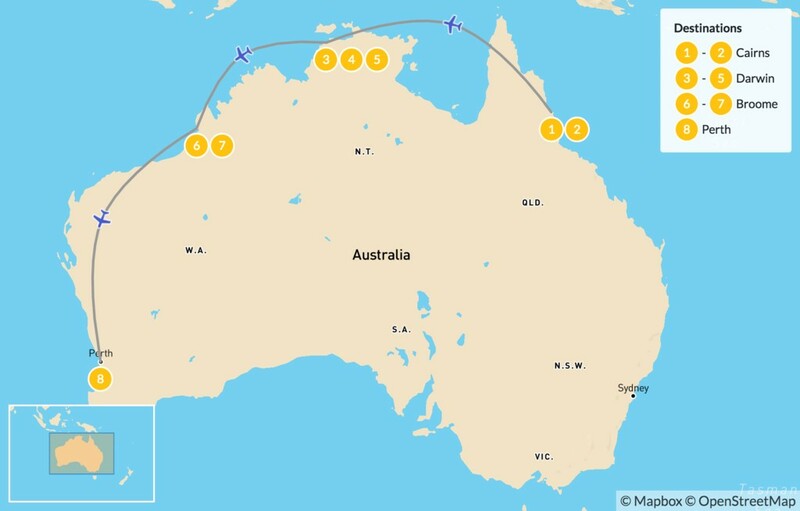 A great 10-day itinerary might start with 3 days in Sydney, before heading to Uluru, Darwin and Kakadu National Park, and Cairns for a few days each. Have two weeks at your disposal? Even better. 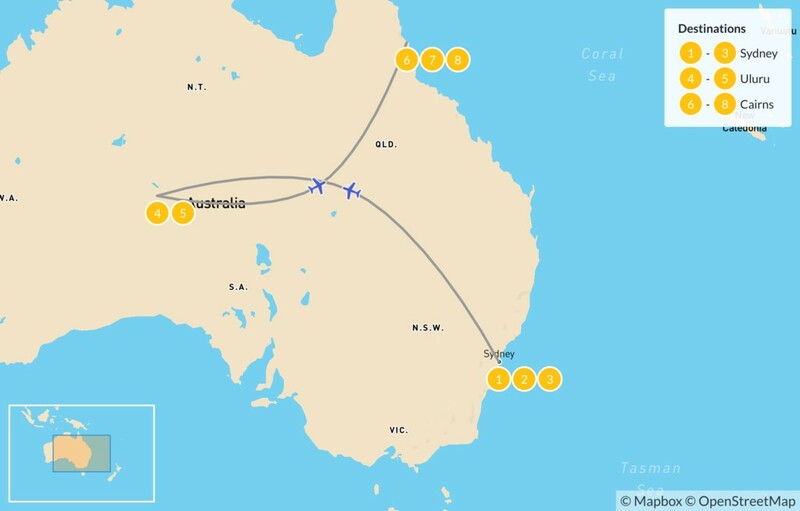 Consider flying into Melbourne, spending two days on Kangaroo Island, taking the Ghan Train from Adelaide to Alice Springs, and finishing with two nights each in Uluru, Darwin, and Cairns. If you're combining Australia with another nearby destination like New Zealand or Indonesia, a 5-7 day trip is doable—you'll probably want to stick to exploring one city and taking a couple of day trips from there. This well-rounded 16-day tour of Australia's highlights is sure to delight any first time visitor. You'll explore the hidden laneways of artsy Melbourne and the famous landmarks of Sydney, learn about indigenous culture at Uluru in the country's Red Center, and discover tropical Queensland with an excursion to the Great Barrier Reef. Along the way, you'll meet kangaroos at Kangaroo Island, search for crocodiles at Kakadu National Park, and have free time to enjoy a few day trips of your choosing. Explore the natural beauty and diverse wildlife of the northern half of Australia, making your way from tropical Cairns to lively Perth on this 9-day trip. You'll see the Great Barrier Reef, cruise through the wetlands of Kakadu National Park and fly over the magnificent Horizontal Falls. Along the way, you'll learn about aboriginal culture, explore the dramatic Katherine Gorge, and end your journey with a sunrise camel tour on the beach as you gaze out over the Indian Ocean. 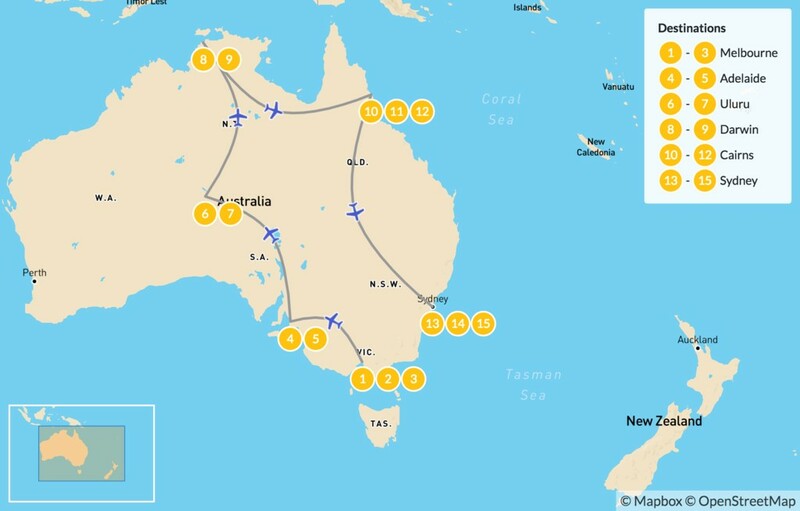 If you've got a limited to time to tackle the vast Australian continent, this may be the itinerary for you. You'll start in cosmopolitan Sydney under the swooping eaves of the famous Opera House, then fly out to the Red Center to experience the dramatic rock formations of Uluru. Top it off with a visit up to Cairns to explore the natural beauty of the Great Barrier Reef, with plenty of free days in between to add your own twist. Visit three cities of Australia with this eight-day itinerary. You'll start off in Sydney, where you can enjoy both the bustling downtown and coastal cliff walk, then head to Melbourne to explore its artsy alleyways, museums, and cafes alongside the wildlife of the Yarra Valley. Finish off in Hobart, Tasmania, to learn about its history and art scene. Begin your journey in artsy Melbourne, exploring the hidden alleyways, vintage shopping, and quirky coffee shops. Spend a few days in bustling Sydney, then make your way up north to the Gold Coast, one of Australia's iconic surfing destinations. Your trip ends in Cairns with a visit to the famous Great Barrier Reef. This is the ultimate trip for first-timers in Australia with the perfect mix of guided tours and free time to explore on your own. Kicking off in Melbourne, you'll drive past the crashing waves of the Southern Ocean, sip craft beers with locals in Sydney, hike in the Blue Mountains, and experience the breathtaking beauty of the world's largest coral reef by catamaran.